Hi everyone! 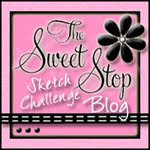 I know I've been slacking lately on the OCL sketches, but I have a sample for you today for Sketch #31 on the OCL Blog. Play along with us and you'll have a chance to win a free OCL stamp set! This is so funny and so cute at the same time! Love those punny cards you make :) Great bow, I likey!!! That is soooo cute! Love all your amazing details! This could not be any cuter, Denise!! Love the layout and the inside! Have a great weekend! What a cutie!!!!! And I'm so glad you showed us the punch line because it made me laugh out loud!!!! Oh this is fantastic, love the colors and that fun image. headed over to check out the tutorial. I love it Denise! So cute is the little joke! Cute Cute Cute! Cute, cute, cute! Thanks for the link to the bow tutorial! Very cute, Denise! 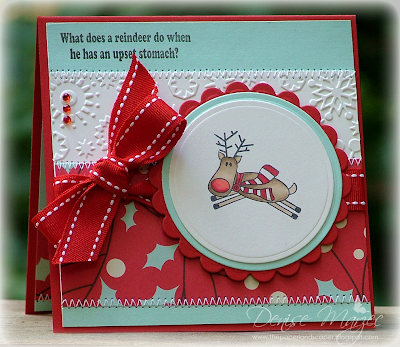 Love the colour combo you used for a holiday card! 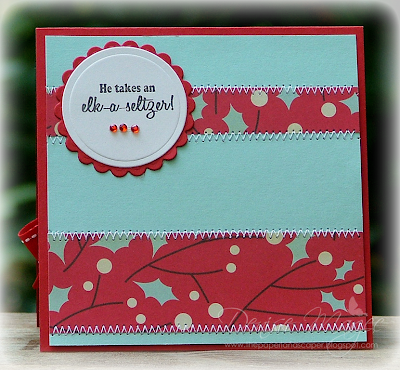 Seems like forever since I have created a card or even sat down to visit some of my favorite blogs! 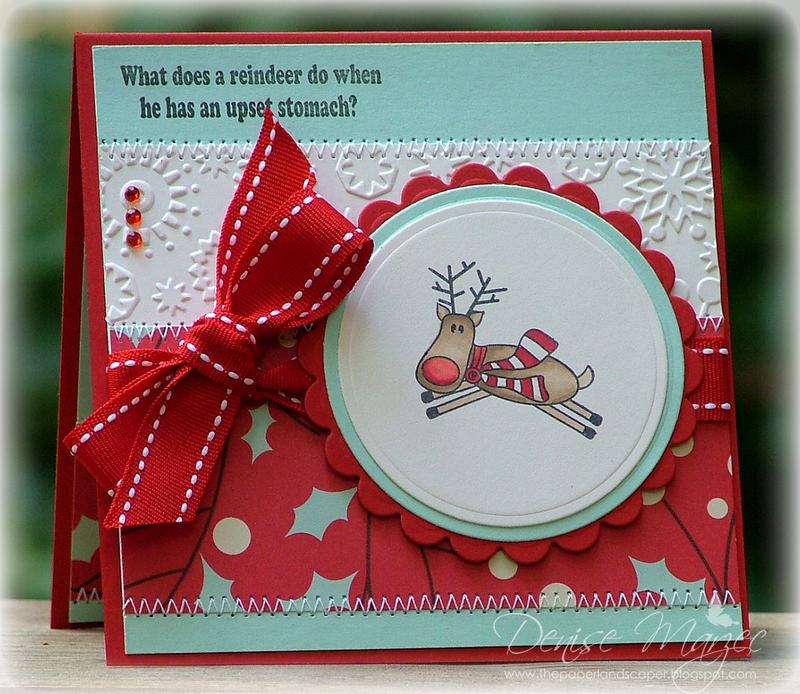 So what do I see, but a darling Christmas card, in my favorite color combo and a super cute sentiment! Long time no see! If you get a minute pop over to my new cookie blog...seems that I have traded my stamps for cookie cutters, at least for the moment! Adorable!! How C-U-T-E is that reindeer!! Look at all that fabulous stitching!! This is so cute and funny, too. Darling card, Denise. Such a cute Xmas CArd! 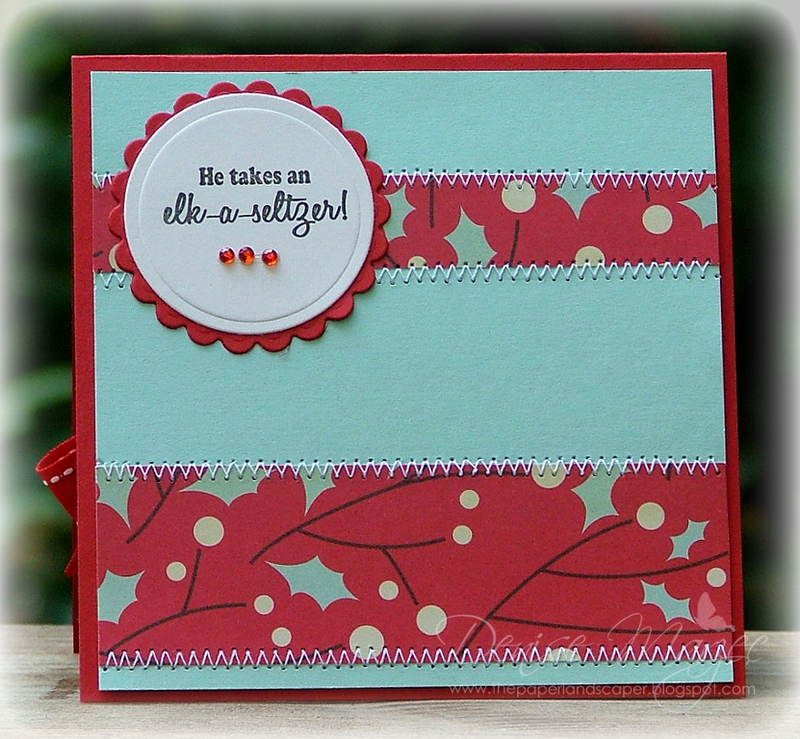 I love the color combo and that funny sentiment. Great job on the bow too! Completely cute!! Love the papers!! Aw, cute! Love your paper! Love the pun! But REALLY LOVE THE CARD! !The papers are FAB and your bow is perfect! Thanks for sharing your friends site with the tutorial. I have such a hard time with my bows.